Every year, Anthony and I take a little mini getaway for our anniversary. In September 2012 I did the Avon Walk for Breast Cancer in SB and decided we needed to experience it as a couple. The weekend started on Friday night, we arrived around 9 PM. The original plan was to go to downtown SB and go to a few bars, but were exhausted, so we ended up staying in for the night. 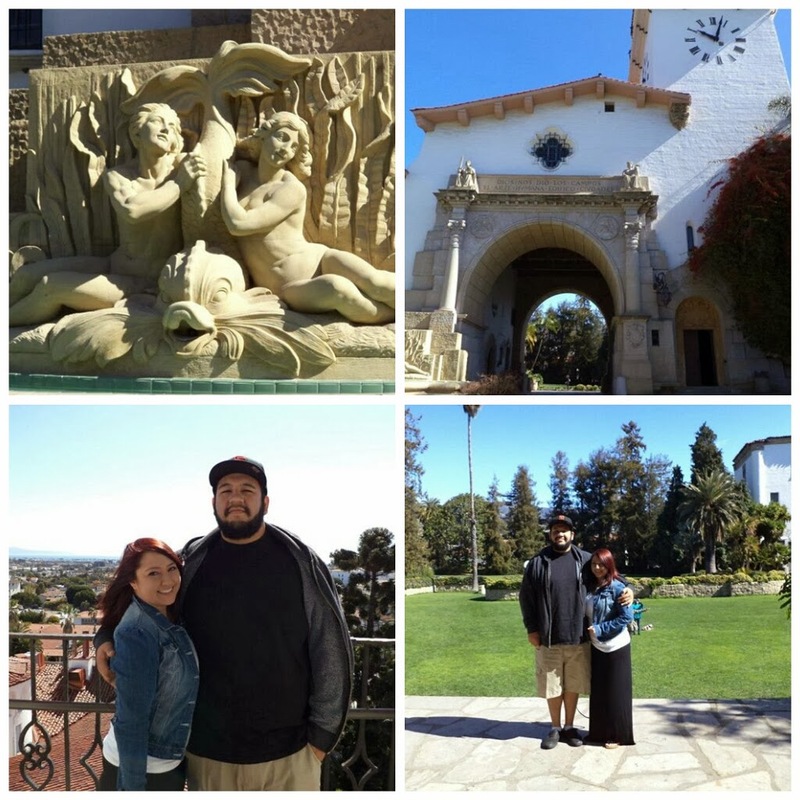 The next day, we woke up, had our continental breakfast and headed to the Historic Santa Barbara Superior Courthouse. 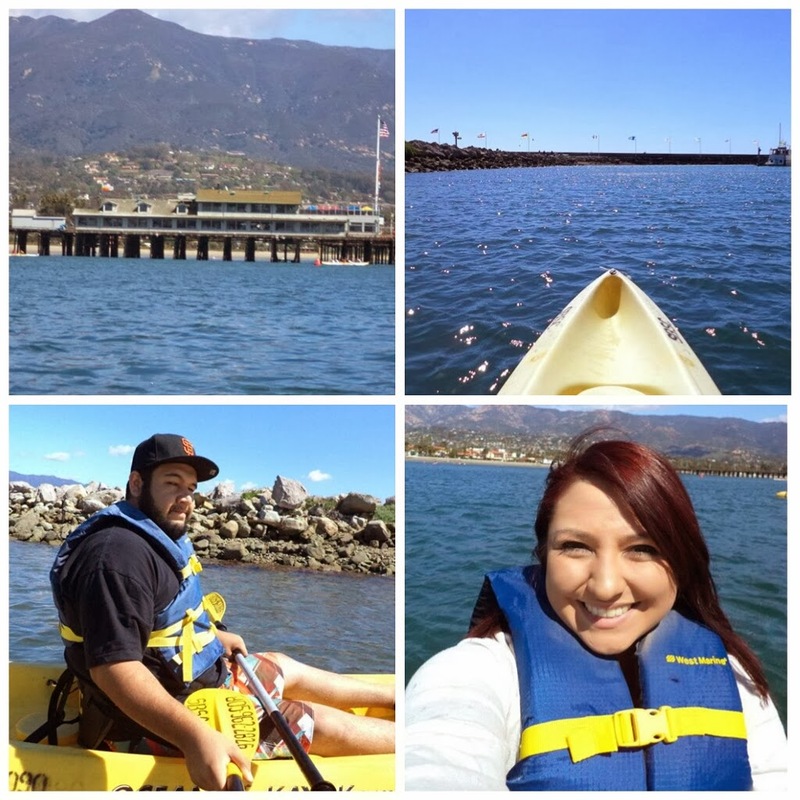 After the courthouse, we went kayaking around the harbor. The kayak rentals were from the Santa Barbara Sailing Center. The staff was exteremly friendly and the rentals were cheap. We spent about an hour chasing the seals that would swim right up to us and try to play. When we finished kayaking, we had lunch at this amazing little restaurant called La Super-Rica Taqueria located on Milpas. Full and ready for a nap, we continued onto our next activity on the itinerary, wine tasting. 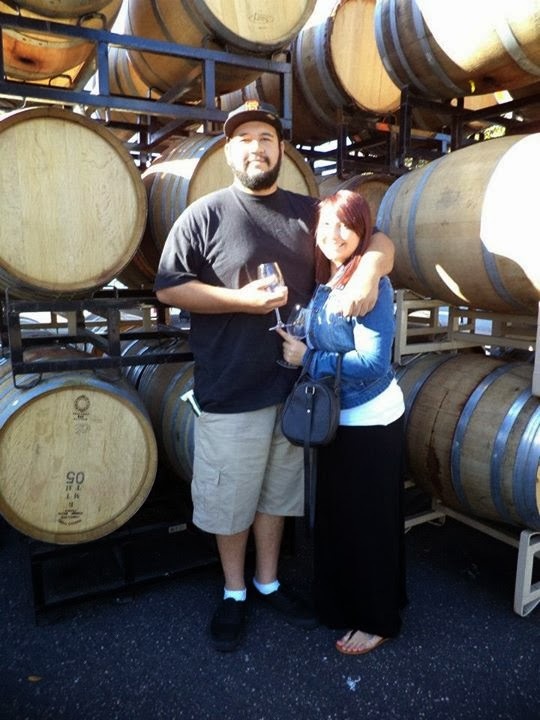 We went to the Santa Barbara Winery located on Anacapa Street. They had a large selection for the tasting and they also had an olive oil tasting booth. Anthony is not one for wine, so we did not end up staying that long, but we had fun. We headed back to the hotel for a nap after we went wine tasing and when we woke up, we headed out to dinner. 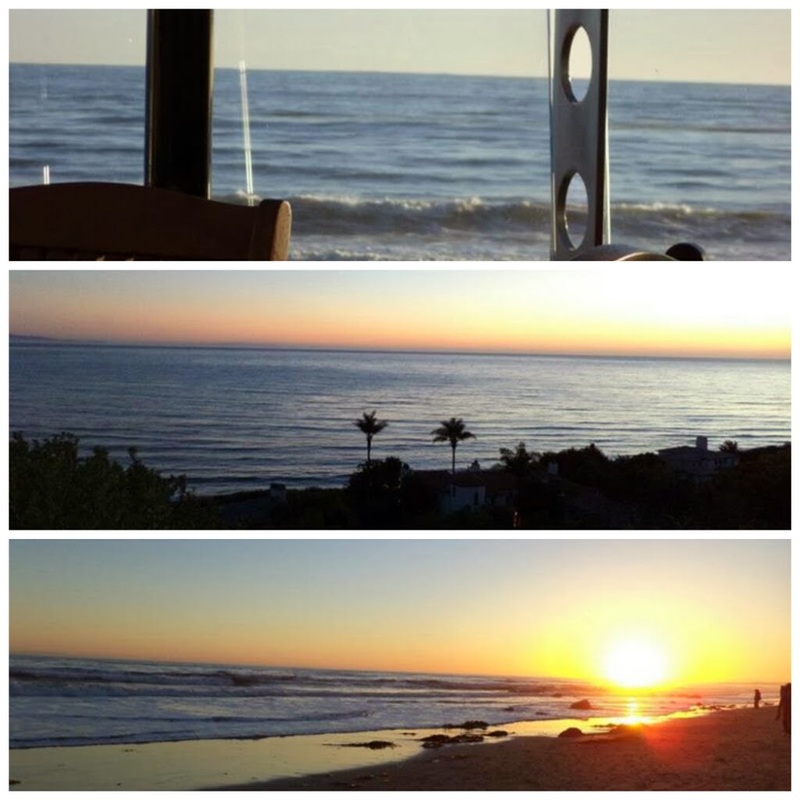 We ate at a restaurant right on the beach at sunset, it was gorgeous. After dinner, we walked up the beach and back until the sun went down. March 10, 2013 was the last day of our anniversary weekend in Santa Barbara. To start it off, we had a nice patio breakfast on a sunny spring day. I had the chocolate chip pancakes (my weakness) and he had regular pancakes. After breakfast, we were headed to the Santa Barbara Mission, but tours didn't start for two hours due to Mass. Waiting was not part of the itinerary and we had no idea what to do next. Anthony was driving around town when he said "Let's go on an adventure." I went with it and he drove through the hills of SB, or as the road signs stated, a "Scenic drive." We pulled up to a national forest parking lot; we got out and started walking around. As we get closer to the trail, we hear a creek. I have never seen a creek in person, so Anthony suggested we check it out. We walked a little further and there were nature's stairs made of rock and a hand railing made of wood. We walked down to the bottom and there were rocks and trees everywhere. Water was flowing into a little pond, the pond was spilling water over its edges continuing the flow of the creek. It was really pretty. I pulled out my camera and started taking pictures. I took some of Anthony, he took some of me, and he suggested we take one together. 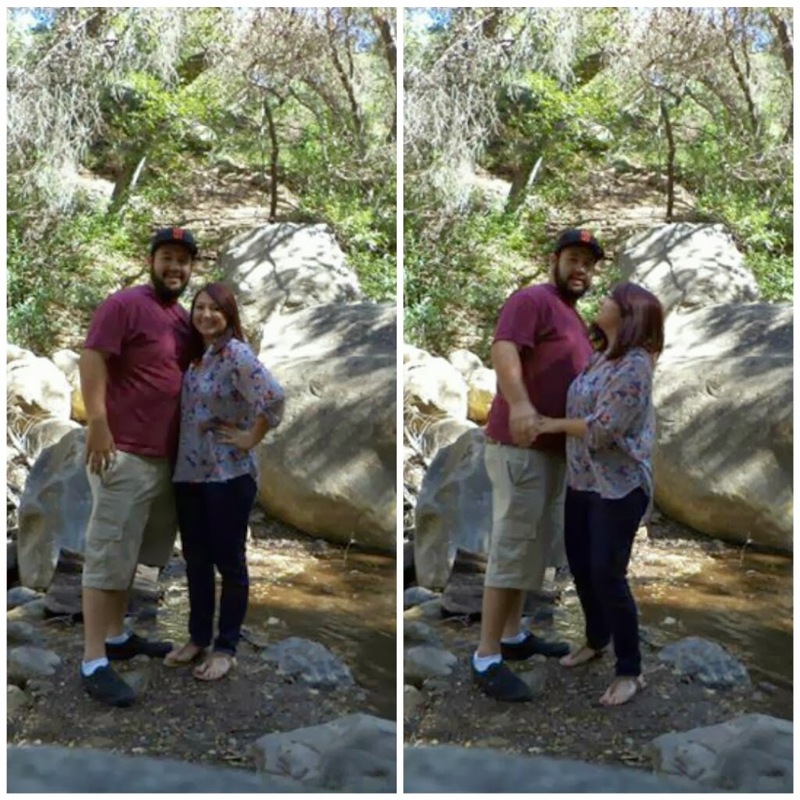 He set the camera up on a rock with the self timer and the “multiple” setting, taking 10 shots in a row. When he set it up, he ran back to where I was standing and we posed. We reviewed the pictures and he said that we needed to try it one more time. This time, he was taking forever trying to set the camera on the rock. He was shaking and making it fall over, finally he got it to sit still and he said "Hurry, look at the camera." I looked, but I didn't feel him next to me like he was the first time. I looked over and there he was, on one knee. Long story short, I said yes, and he did not capture the moment on camera. But that is okay because we will always have the memory.